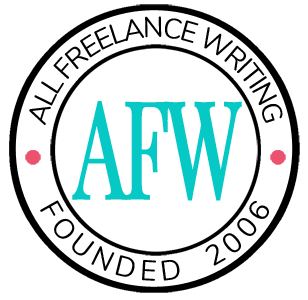 Almost all freelance writers that I've encountered have their own blogs, blog on other blogs, or blog for clients. This is a task worth mentioning, and for me that means we need to talk about amping up the effectiveness of your blogging. Productive bloggers must update their blog content. It doesn't require you to be a rocket scientist, but I feel that every blogger could be a little bit more effective in their process of getting fresh content on their blogs. First, focus on your blogging style. If you keep a newsy blog or you blog when you're button is pushed, you have a more immediate style and probably write and publish. I am not going to say that to be a more productive blogger, you must start scheduling posts. Keep your spontaneity up...just create a blog post template that you can work with that has things like headings, subheadings, image codes, your routine openings and closings, and anything else you have in every blog post. That way each post you pen and publish will get out there sooner. Bloggers of a less timely and more scheduled content focus can benefit from having several blog post templates and a regular routine, and also a category storyline. Effective blogs have effective categorization, and that means that you regularly provide information on a variety of topics. Mindmap, create a time line, make lists or outlines--however you find yourself best organizing what you've covered and what you will on each category. This will give you a reference point as you begin each blog posts and some continuity as you schedule them. A good idea for these bloggers is to use an editorial calendar if that doesn't feel like too much organization. Do what works for you and spend as much time as possible getting content on the blog (not getting organized to do so). Second, find the right environment. Beyond the writing, the style, the mechanics, and the tools, you need to be blogging at the time and in the place that is most conducive to your blogging. If somewhere during 9 to 5 doesn't cut it, don't be afraid to blog at midnight. If you need absolute quiet, get up before your family or get away from them to somewhere where you can get blogging solitude. Find what works for you and make it happen. Finally, ensure your most efficient writing process. If you like to outline and then write, or jump right in, or write and then rewrite (or something else entirely), make it easy for you to write your blog posts that way. Find the best helpers and tools to organize your prep work and to backup your blog posts. These are my tips for being a more productive blogger, but I just wanted to open the discussion. You blog: how do you practice being an effective blogger? What are your struggles? What are your strengths? Jessie Fitzgerald writes about health and nutrition, especially for direct B2C sales nutritional supplement companies. Hire her at http://healthseocontent.com. Read about becoming a nutrition writer at http://nutritionwriterjobs.com. Read more posts from Jessie Ann Fitzgerald.